August | 2017 | What Next? This whole controversy about the statues of famous people and whether they should be removed has me thinking. Should we stop honoring people when we erect statues and rather honor ideas? I’ve featured many statues on this blog of famous Canadians I actually thought were worthy of praise, but now I’m wondering if they all had a dark side? A little research makes it clear many of them did. For example…….. Here I am with Emily Murphy on Parliament Hill in Ottawa. She was instrumental in achieving personhood for Canadian women so they were no longer considered their husbands’ or fathers’ property. Yet according to the Toronto Globe and Mail Emily wrote articles attacking Chinese immigrants, American blacks, Jews and other Eastern Europeans who had chosen Canada as their home. Here I am in Gambo Newfoundland with a statue of Joey Smallwood. He is credited with bringing Newfoundland into the modern age and into Confederation but there are many people who saw him as autocratic and interested mainly in self promotion. They criticize the way he often sided with bankers and industrialists rather than unions and laborers. Perhaps it is time to stop honoring people with statues and just honor ideas instead. For example the statue emptyful at the Winnipeg Millenium Library honors the beauty of the wide open spaces of the prairies. Who could quarrel with that? This sculpture in Quebec City honors the idea of education. An outstretched hand sits on a pile of books. The hand has a feather. This shows how an education helps us learn to read and write and become literate people. Who could quarrel with that? Perhaps its time to stop honoring people with sculptures and focus on honoring worthwhile ideas instead. I was walking down Graham Street to meet a friend for lunch when a group of five students stopped me. They showed me a copy of the sign below and asked if I knew what it was about. I told them the sign had greetings in the languages of the various indigenous peoples of Canada as well as in English and French. I told them I thought the signs were great. I said it was important to recognize the valuable contributions indigenous people have made to our country and to always remember they were here in Canada thousands of years before settlers from other countries came. I told them my family had come to Canada from Ukraine. I turned the tables on my interviewers then and asked why they were asking me questions. They said it was an assignment for an English class they were taking. Turns out the five students were from Columbia, Korea, Japan, Nigeria and Thailand and were all here in Winnipeg to learn English. I asked them to each say good-bye to me in their languages before we parted ways. At our last meeting my writers’ group discussed a recent Ted Talk given by writer Anne Lamott entitled Twelve Things I Know To Be True. I could really resonate with many of them. Here are three I particularly liked. 1. Almost anything will work again if you unplug it for a few minutes. That includes you. When I am really stuck on a writing project or work assignment the best thing to do is just leave it for a while and go for a hike, take a nap, have a shower, read a book or go to a movie. Invariably while I am doing something completely different the solution to my writing or work dilemma reveals itself. Everyone needs to take a break sometimes and we shouldn’t feel guilty about just unplugging and giving ourselves down time. 2. Family life is both astonishing and hard. Welcoming a new child is astonishing. Saying goodbye to a parent who has died is incredibly hard. Watching your child accomplish something and knowing that in that moment they are truly and utterly happy is astonishing. Watching your child go through illness, or disappointment, or loss is heartbreakingly hard. Having a family member affirm and support you is astonishing. Accepting the criticism, silence and correction of a family member can be humbling and hard. 3. God means goodness. God is a loving, animating intelligence. Emerson said…… We learn from nature the lessons of worship. Go outside often and look up when you need to find God. I too think of God as good. Bad things don’t come from God but God does send people to help us when we human beings mess up and bad things happen. And I do feel the most worshipful and close to God when I am outside, looking at stars, walking in a forest, wading in the ocean, or tracking a bird in flight. In her Ted Talk Anne Lamott talks about nine other things she knows to be true. You can hear about the other six on the Ted Talk site. I talked with someone who had experienced a disturbing situation recently. Immediately afterward they sat down and wrote out how they might view the troubling incident in eight different ways……. with perspective, humility, humor, acceptance, forgiveness, gratitude, compassion, and generosity. After contemplating and responding to the event from each of those standpoints it seemed less daunting and distressing. I asked if it wasn’t hard to view challenging conflicts from all those different angles. I was told if you make a habit of doing so, it becomes relatively easy. 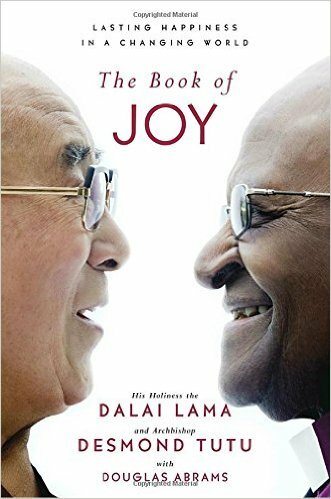 Those eight ways of looking at a difficult situation are the eight pillars of joy explained in The Book of Joy which records a five day conversation between the Dali Lama and Desmond Tutu. Author Douglas Carlton Abrams weaves their dialogue together with narration. I purchased the book for our church library and have just started to read it. In am looking forward to learning more about how I can use the principles in my own life. I can already think of a number of situations and relationships where the pillars of joy might just come in handy. This unique installation at the Art Gallery of Ontario called Paris/Ojibwa is by artist Robert Houle. It is a moving memorial for Ojibwa dancers who died while entertaining the French court in 1845. The story starts with American artist George Catlin who traveled extensively in the west painting hundreds of portraits of indigenous people. He decided to bring his ‘Indian Gallery’ to Europe and display it there. He thought he might attract more viewers for his exhibit if he brought along an indigenous dance troupe organized by George Henry Maungwudaus an Ojibwa interpreter. The troupe performed in London and at the royal court in Paris where King Louis Philipe presented the dancers with medals. Unfortunately six of the troupe caught small pox in Europe. They died never to return to Canada. Robert Houle has painted four of these ill-fated dancers, Maungwudaus’ wife Uh wis sig gee zig goo kway and three of her children and shows them on a return journey to Canada, a trip that because of their untimely deaths, they were never able to make themselves. Above the portraits are the names of the dancers and underneath each portrait is an illustration of the small pox virus that killed them. Robert Houle paints the portraits on the walls of a reconstructed Parisian salon. There is a bowl of sage on a pedestal at the front of the salon and you hear quiet drum beats as you view the installation. I was drawn to Paris/Ojibwa because of its creator Robert Houle. 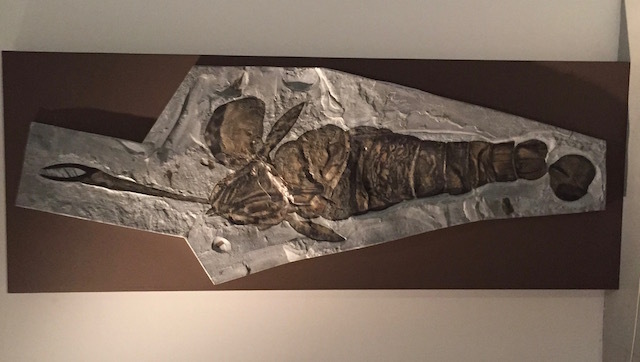 We have an installation of his called Parfleches for the Last Supper on view at the Winnipeg Art Gallery. Many years ago I interviewed Mr. Houle for a Free Press column of mine. It was interesting to see a more current work of his, especially one that tells such a moving and tragic story. The movie The Innocents will break your heart. It will inspire you with its story of women who are incredibly brave and resilient. It will also make you wonder why things haven’t changed much; why women and children are still the ones who pay the highest price for the endless need men seem to feel to wage war with one another. 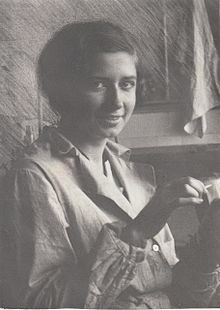 The movie is based on a true story found in the diaries of Madeleine Pauliac a French army nurse stationed in Poland at the end of World War II. She is called to a convent where one of the sisters is about to give birth. Along with other nuns in the convent she has been gang raped by Russian soldiers. The nurse soon discovers that the nun in labor is not the only sister who is pregnant. The movie’s story is told in a quiet but terrifying way, often with the haunting singing of the nuns at worship in the background. The film’s sights, and sounds and story will stay with you for many days after you watch it. Don’t be put off by the fact it is in French with English subtitles, in some ways that makes you watch even more intently and experience it in a more visceral way. Don’t be put off either by the dark nature of the story line. I promise it is a movie that will leave you feeling inspired and hopeful.